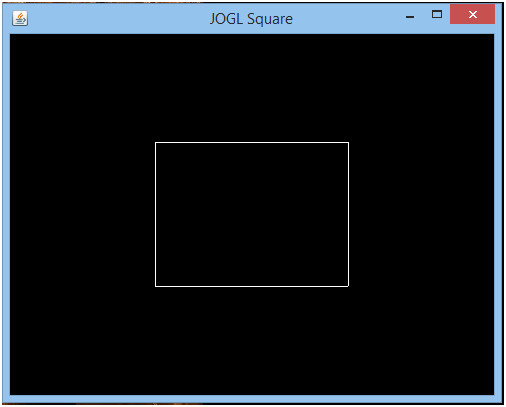 In the previous section, we have already learn how to draw a basic line in JOGL. Using the same methods we can also draw various type of shapes such as square, rectangle, triangle etc. In this example, we will draw four different edges in such a way that they all connect at a point in a shape of square. 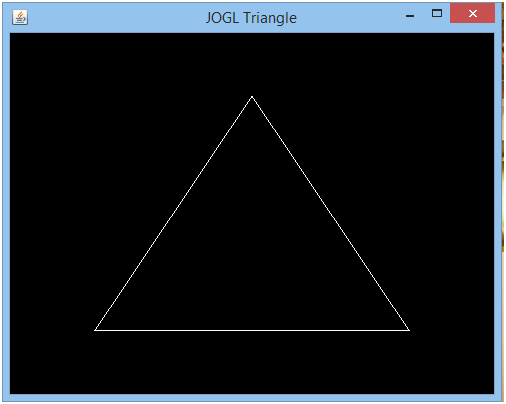 In this example, we will draw three different edges in such a way that they all connect at a point in a shape of triangle. Hence, any type of figure can be designed by just connecting the lines in the particular shape.